Tap, clear, and enter the wonderful world of Pop Story and rescue the many cute characters in your classical fairytale adventures! 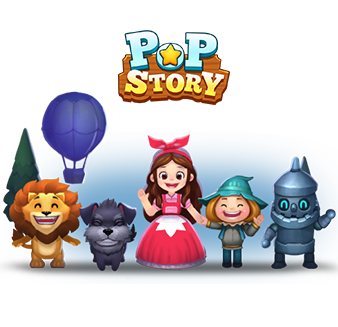 Pop Story is themed around classic fairy tales with the casual Match-3 gameplay mixed in. Step-by-step build and experiment with various combos in this fun and blissful Match-3 game! Are you ready?! Play without an internet connection, enjoy every wonderful moment. Play next to your friends, cooperate and share the joy!